Dress up your Camaro with our Polished - Stainless Steel, “RS” Trunk Lid Plate. These trim pieces are designed to fit on the trunk lid and add a clean stylish look to your Camaro exterior – plus they won’t tarnish, fade or rust! This part replaces the emblem and requires the emblem to be removed for installation, which takes just minutes. Made in the USA! 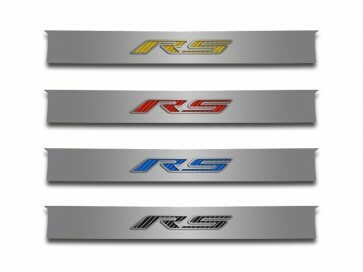 Dress up your Camaro with our Polished - Stainless Steel, “RS” Trunk Lid Plate. 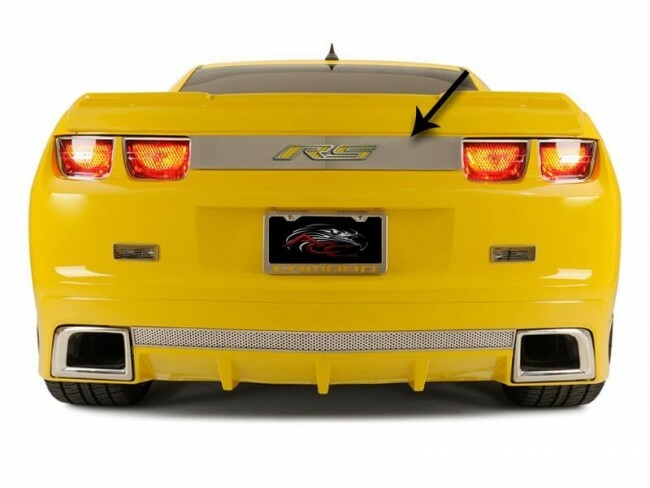 These trim pieces are designed to fit on the trunk lid and add a clean stylish look to your Camaro exterior – plus they won’t tarnish, fade or rust! This part replaces the emblem and requires the emblem to be removed for installation, which takes just minutes. Made in the USA! RETURN POLICY: May be returned, in resaleable condition, within 30 days from date of order with an RMA (Return Merchandise Authorization). A standard 15% re-stocking fee will be deducted from the refund amount. The customer is responsible for all shipping charges. DAMAGED IN SHIPPING: Damaged items must be reported within 24 hours of delivery. Shipped directly from manufacturer. Please allow up to 10-14 business days for delivery. May only be shipped using Standard Shipping.